This is a fantastic introduction to marine navigation - with a difference! 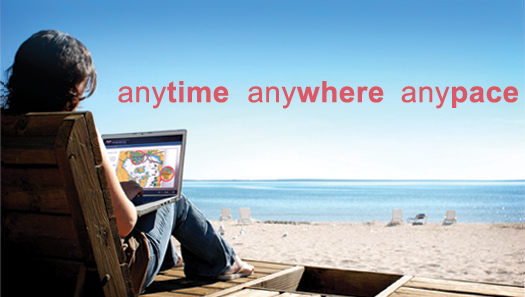 The course is fully web-based, with the added support of your RYA Instructor on-call to help you if you need it. 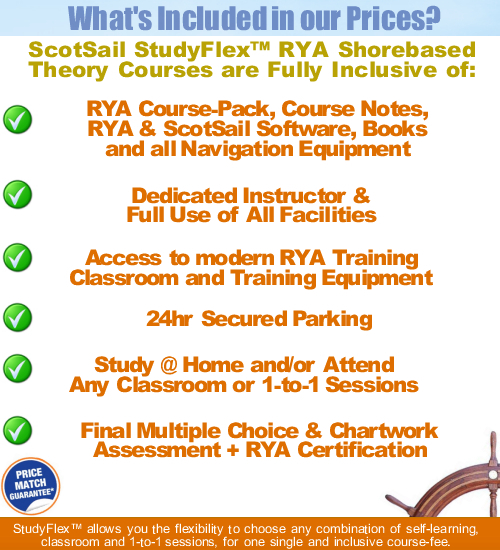 You receive the official RYA Course Pack, complete with charts, books and even your own navigation plotter and dividers to use along with the structured online course! Animations, videos and quizzes make understanding important safety matters easy to learn. Ideal for those starting sailing / powerboating. Also very popular with kayakers, canoeists and other paddlesport users. 1). No Previous Knowledge Required. 2). 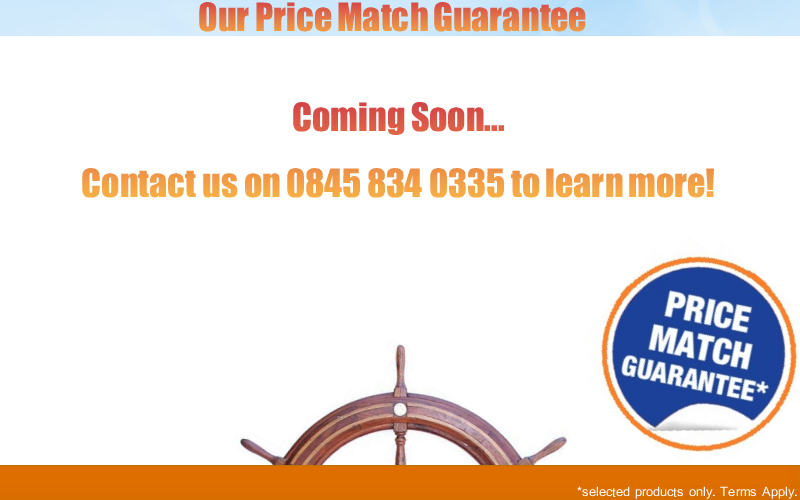 Suitable for Sailing & PowerBoats. 4). Everything Required Is Included + Support! This course offers a great introduction to navigation and safety awareness for new, inexperienced or rusty skippers and crew. 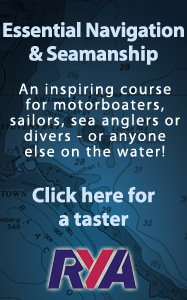 In fact it's for anyone interested in sailing, power boating, sea angling, diving or paddlesports and works well in complementing our on-the-water training, such as the Powerboat Level 2and Start Yachting courses. It's a highly informative course with lots of opportunities for you to put your new found knowledge into practice. The online course will take around six hours, but the beauty of it is that you can work through it at your own speed, whenever and wherever you like. 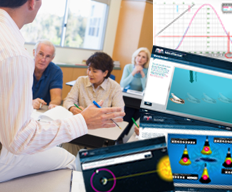 You will find many interactive exercises to help reinforce the information and lots of chances to try out what you've learned. 6-Hours Online, Or Take As Long As You Want! *Selected Products Only. Terms Apply. Your Booking Confirmation E-Mail will contain your Booking Reference Number, and a Link To Our Secure Payment Page, Where You Can Pay Using a Credit / Debit Card. You can access the first parts of the online course instantly, but you need an Enrolement Key to proceed to the full course. Once you have paid, you will receive a payment receipt via e-mail, and your 4-Digit Enrolement Key. Once you have paid and accessed the course with your Enrolement Key, we will then send you your Official RYA Essential Navigation & Seamanship Course Pack and Navigation Equipment via Royal Mail. This is included in the course fee, as is the delivery charge. Please allow up to 7 working days for delivery, although delivery is usually much sooner that this. rya, dayskippers, day skippers, day skipper, dayskipper, day, skipper, coastal/yachtmaster, coastal, yachtmaster, yachtmasters, ocean, yachtmaster ocean, theory, navigation, nav, charts, chartwork, tides, estimated position, dead reckoning, compass, shorebased, safety, specialist, distance learning, distance, learning, web, web-based, online, evenings, intensive, class, classroom, centre, rya training centre, college, nautical, ticket, tickets, masters, master, skipper, captain, licence, lisence, license, lisense, essential navigation and seamanship course, basic, plotter, dividers, gps, electronic, day skipper shorebased, day skipper theory, coastal skipper shorebased, coastal skipper theory, yachtmaster shorebased, yachtmaster theory, yacht master, yacht, master, motor, power, sail, sailing, course, courses, scotland, largs, glasgow, edinburgh, perth, aberdeen, inverness, central scotland, central, sea, marine, maritime, sea school, school, class, centre, classroom, chartplotter, chart plotter, radar, heading, bearing, rose, fix, tidal, streams, atlas, sailing books, rya books, dvd, cd-rom, video, scotsail, scot sail, scott sail, scot sale, scott sale, theory courses scotland, navigation courses scotland,RYA Day Skipper Shorebased Theory and Navigation Course, theory, day, skipper, nav, navigation, day skipper theory, theory course scotland, evenings, class, distance learning, web, online, scotsail, largs, glasgow, edinburgh, aberdeen, perth, dundee, falkirk, east, west, scotland, north, north west, lancashire, preston, cumbria, yorkshire, marina, marine, stcw, sctw 95, yachtmaster, coastal, ocean, navigate, training, inverkip, kip, day skipper theory distance learning, correspondence, day skipper online, pilotage, commercial, day skipper navigation course, rya day skipper navigation, day skipper chartwork, day skipper course scotland, day skipper theory exam, test, course, r y a, royal yachting association, skippering courses, day skipper practical, day skipper practical and theory, day skipper combined scotland, day skipper practical scotland, day skipper theory online, studyflex, shorebased, day skipper theory scotland, rya day skipper theory courses scotland. Complete In A Short-Time or Take up to 12 Months - You Decide! 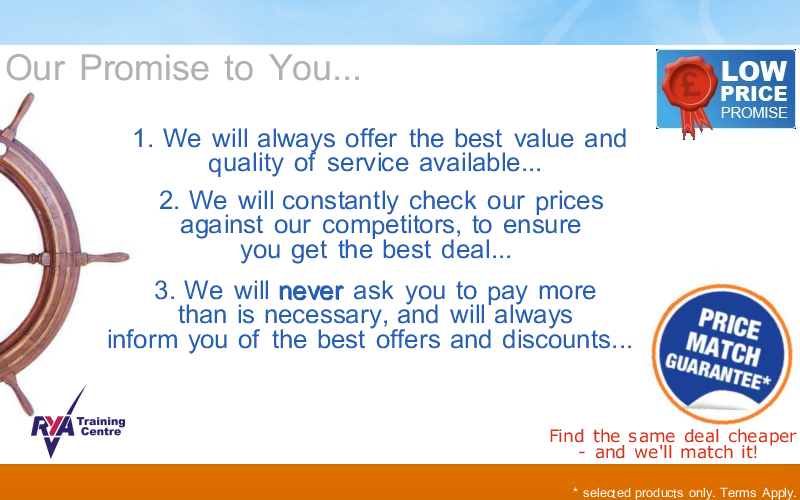 E-Mail: Contact Us Here Call: 0845 834 0335* Calls cost just 4p/min from a BT Line. Calls from mobiles may be higher.